We’ve seen a number of Easter events come and go and, each year, the bunny has absolutely won the holiday. Everyone fawns over how adorable and fuzzy the little critter is and cannot get over the floppy or upright ears. But, just remember: that bunny wouldn’t have anything to do without the other Easter favorite. The little chick means everything to the holiday event and, lately, hasn’t been given any credit. Some claim that it is because they aren’t soft. But, those people clearly haven’t ever felt that soft down of a little chick’s body! And, who would dare say they aren’t adorable!? Well, we’ve initiated an important task to reclaim the cute for the Easter chick, though the campaign is going to require the assistance of a few others in our world that stand up as the cutest of the cute as well. We know that when you first looked down at the face of your little babe, there was an instant connection. You likely thought all sorts of perfectly appropriate words: adorable, sweet, maybe even mine. So, we figured that the ultimate cute combo would be to take that genetic marvel of yours and merge it with the soft and sweet critter to form a devastatingly aww-dorable pairing that none could deny! 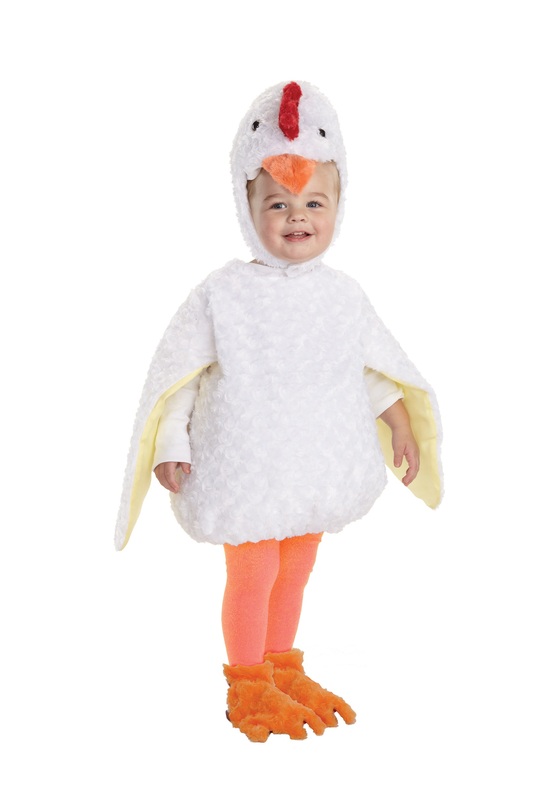 Join the efforts by gearing up your tot in this Toddler Chicken costume. This polyester hoodie has a swirl faux fur finish that is soft to the touch and sweet to the eyes. Stuffing between the lining and the shell gives your tyke a plump shape that’s just delicious and the wing flaps are both cute and still allow for easy movement for your kiddo’s antics. Fuzzy feet and a beaded eye hood finish the adorable transformation, the whole of which will still Easter for good from that goofy bunny. Perfect costume good quality I love it n my two year old live it too. Very satisfy with the price and product.